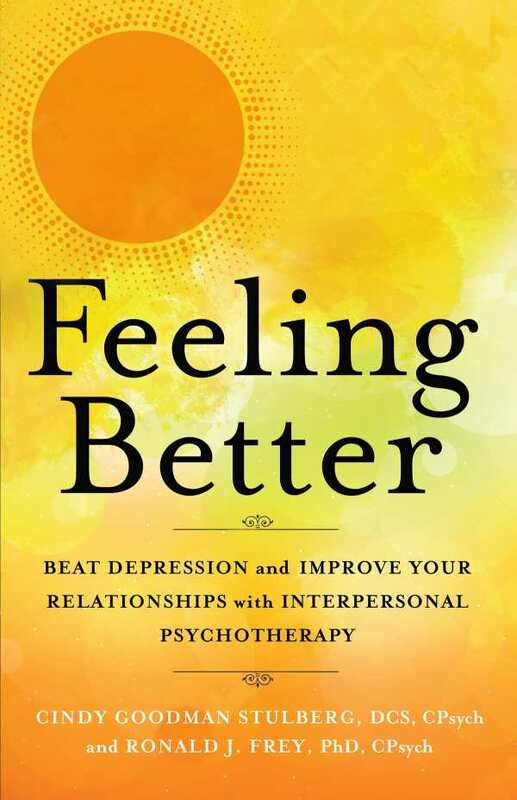 Feeling Better shows how positive relationships transform lives. The book begins with a revelatory assertion that seems almost commonsense: relationships are the key to happiness. But the wisdom in the book is anything but commonplace. It defies conventional notions of what brings happiness and what drives a healthy life: wealth, social status, career success. Cindy Goodman Stulberg and Ronald J. Frey, who are both psychologists, help their audience—anyone who wants to improve their life—learn to communicate, identify and improve their interpersonal styles, manage expectations, and make conscious decisions about time and relationships. The benefits are compelling and realistic: strong marriages, balanced children, improved eating habits, and disease prevention. The encouraging, clear voice of the book empowers its readers, and the practical elements make real change seem possible. These include an overall week-by-week approach to change, approachable real-life stories, step-by-step instructions (such as for how to explain your depression to your spouse), powerful questions (like, during reflection on people in your social circle, “What would I have liked to have been different about the relationship?”), checklists (such as for identifying complicated grief), and affirming bite-sized pep talks in the margins. This multifaceted approach engages all kinds of people, regardless of their experience, background, or learning style. For those who have benefited from in-person psychotherapy, it may seem farfetched that a book could carry the same benefits. Still, through its adept teaching and encouragement, this book is a means for motivated people to change themselves, foster relationships, and find happiness. Alongside their extensive expertise, the authors demonstrate a deep compassion for people who are struggling and longing for more. Their positive “start from where you are” approach builds emotional intelligence and relational skills with dignity and respect. Feeling Better unlocks the power of community and relationships for health and wholeness.